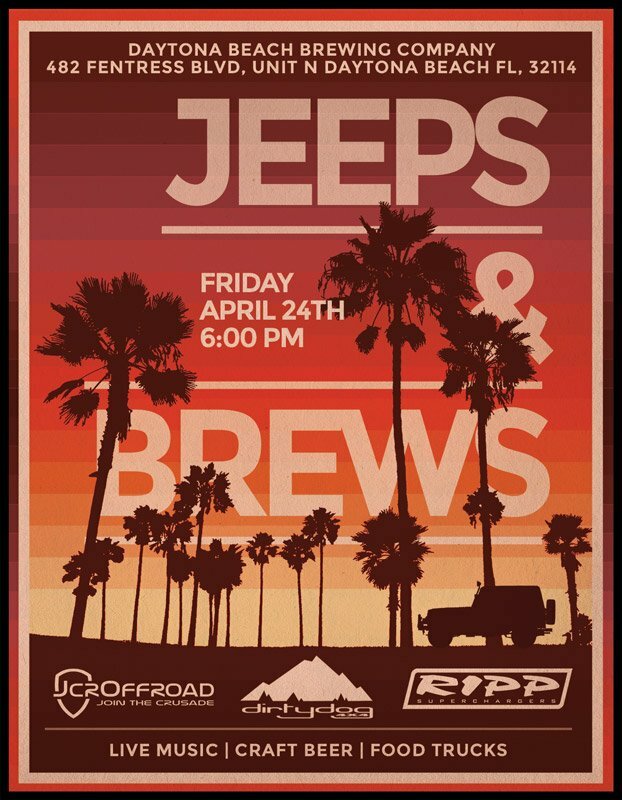 We are having a party at Jeep Beach this year! 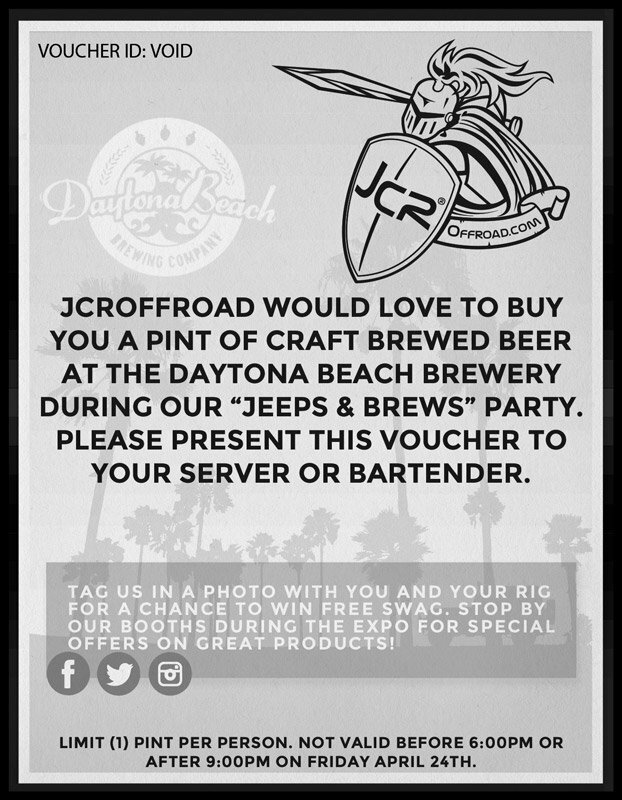 Friday the 24th we will be having a “Jeeps and Brews Party” at Daytona Beach Brewing Company. Stop by any of our booths on Friday the 24th for your ticket!